Every so often a recipe idea comes along that I can’t stop thinking about until I get in the kitchen and experiment. 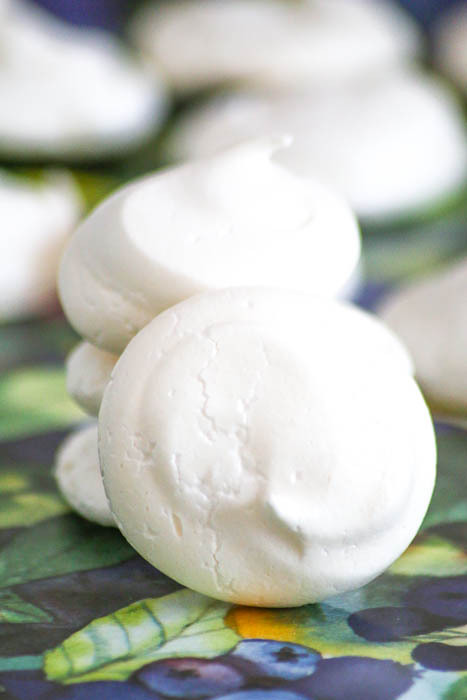 Raspberry Liqueur Meringue Cookies is one of these ideas. I wanted to make something that would be perfect for springtime and light and happy enough for Easter. My initial thought was to include fresh raspberries or fresh raspberry puree but I was concerned that either option would negatively effect the meringue batter by making it too runny. It wasn’t a big leap to realize that raspberry liqueur would add the fruit flavor I wanted along with a lovely pink hue. 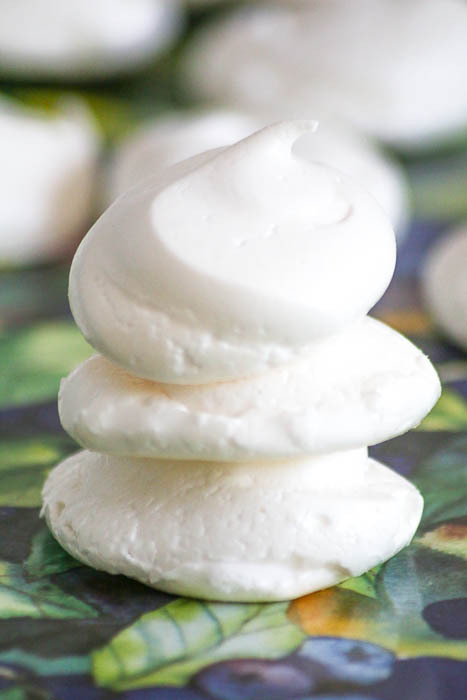 I made my Raspberry Liqueur Meringue Cookies on the smaller side but you can pipe larger circles just as easily. The trick to getting the perfect consistency is leaving the cookies in the oven overnight once the heat is turned off. I tried a cookie after it sat in the turned-off oven for a couple of hours and it was not as crunchy as I wanted. When I came back in the morning, my cooled cookies were just right. Preheat the oven to 200°. Line two baking sheets with parchment paper and set aside. Combine the egg whites and cream of tartar in a large mixing bowl, and beat on medium speed until soft peaks form. While the mixer is still running, gradually add the sugar. Scrape the bowl down and continue to beat on high speed until the mixture is stiff and shiny, about 3 minutes. Blend in the raspberry liqueur. Place a gallon size plastic freezer bag into a tall glass. Fold down the opening edges away from the glass. Transfer the meringue to the plastic bag. Seal the bag. Cut off a 2” opening from one of the bottom corners of the plastic bag. Squeeze the excess air out of the bag. 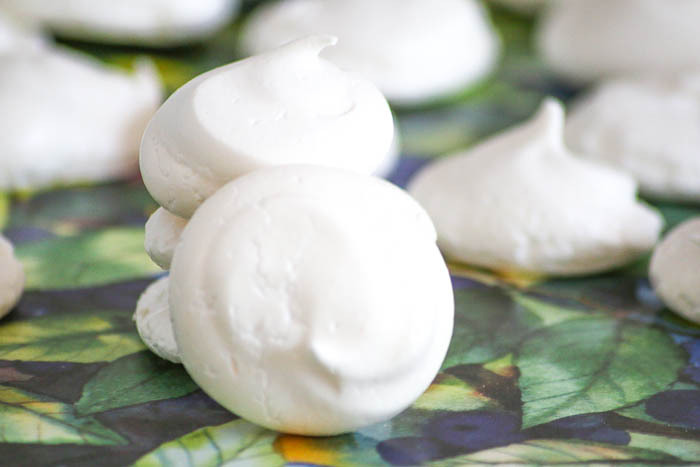 Squeeze the meringue onto the lined baking pans. Bake at 200° for 1 hour, rotating the pans top to bottom and front to back halfway through. After 1 hour, turn the oven off and leave the cookies in the oven overnight. Remove from the oven and store in an airtight container. 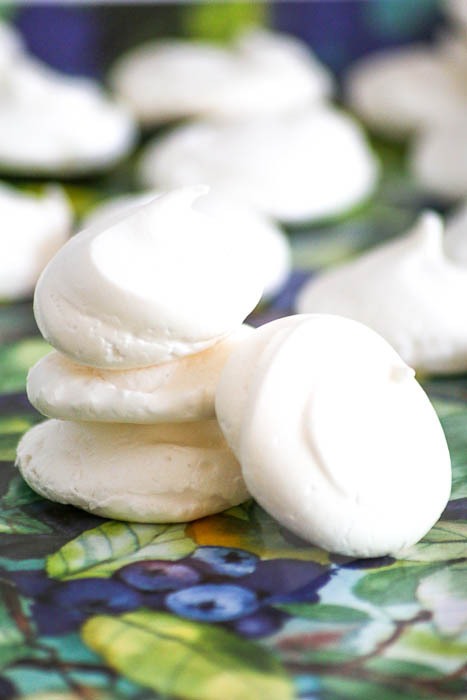 I remember my mom leaving meringues in the oven overnight—we were so impatient! Heck, nothing has changed—I wish I had a stack of your lovely meringues right in front of me!!! I tried them at different times (so that I could report back in case I was asked!) and found that they were a tad too sticky. The ones that sat overnight were nice and crunchy. M-M-M!